Buying a car is a big ticket item. You need to make sure you get the best vehicle possible for your needs and within your budget. This can be difficult when in the presence of a very convincing and very determined car salesman, who may have his commission payment as his best interest. It is absolutely vital that you do your homework and that you do it thoroughly. Research, research, research! Check out all the features that each car offers against the price. Sometimes buying a more expensive car with more features will actually give you the best value for money. What will you use the car for? Are you looking for a small city runabout that is easy to park and has excellent fuel economy? Or do you want to the car to serve a dual purpose, like being able to go on and off road so you can takethe family for camping holidays? Is comfort important to you? What about space and a roomy boot? Be really clear on what your needs are and then set about finding cars that fit the bill. That way you won’t end up driving home a convertible sports car when you really needed the room of Land Rover’s luxury SUV. That may be an extreme example, but the truth is you can be pushed into an impulse purchase that does not meet your needs, especially at the hands of a professional salesperson. By all means visit car dealerships to find out everything you can about various makes and models, but be sure you know exactly which car you want before you buy. Think about size; how many passengers you will have? If you don’t have many a small car will be much cheaper to run. Fuel economy should play an important role in your decision. Safety too will be a big consideration; check for things like the number of airbags, reversing cameras and sensors. Accessories can greatly increase driving pleasure, but be clear on what accessories you really need. Don’t be swayed by a whole host of features that you will not use. Check out accessory packages carefully; find out what is included and decide whether you really need it all. Unwanted accessories can bump up the price considerably and while they sound good when being recited to you in an impressive list, you may never use them. If you are financing your purchase this is a very important consideration. Check out payment plans thoroughly. Find the most competitive interest rate you can. Watch for loan fees and other fine print obligations. Pay attention! You will usually get better interest rates at a bank or building society. Many car dealers will try to sell you insurance with your car. Remember, for them it is all about commission payments, so be prepared. Do your research beforehand and know the best priced insurance you can get independently. And if they can’t match it or better it, say no. 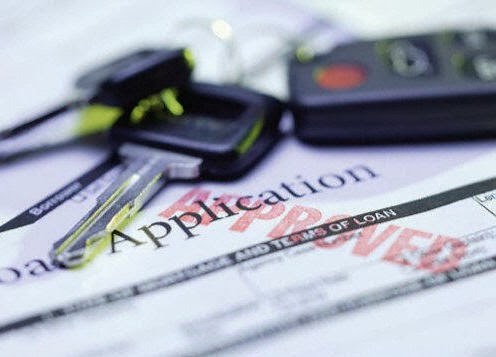 Buying a car sure is a big purchase - great tips! Thanks for the article. Good post! Adding to what has been stated above for finance, traditionally there have been two ways to finance a car, either a loan from a bank or arranging dealer finance, that is, finance arranged by the car yard. When a customer needs a loan for a private sale car purchase, traditionally they have gone to the bank.